Four Factors Important While Optimizing Your Landing Page! Home > Blog > Blog > Four Factors Important While Optimizing Your Landing Page! One of the best facts about inbound marketing you have built up is that your content continues driving an ROI for your business long after it was created and executed. How about your campaigns generating leads even after an year of their launch. A recent survey reveals that about 90% of the new leads that are generated each month actually converted on offers that you didn’t create or promoted that month. Besides, 70% of them were from the bucket you didn’t lay a hand on in last three months. The blog that you had created and implemented in past were bringing revenue for your business. Hence, when you are creating a content you must take into account your future campaigns and goals. By optimizing your content for search engines, you can make sure that it is getting found and generating leads long after you have discontinued upholding it through various channels like e-mail, calls-to-action and social media. Millions of people every day come to search engine to solve their concerns. They are looking for an answer or solution to their issues and finding useful content in that regard. If your web page ranking is going on good you might come across millions of contacts leading to a large number of lead generations. In such scenario, you must keep the SEO best practices in mind while creating your content. Talking about getting maximum lead generation benefits from SEO, landing pages happen to be a great target. People are already looking for what you offer however it is the landing page through which they land on your site to buy the product or services or any other assistance. At this point, you need to make sure that they should come to you as in to have the most effective landing page. For you to turn your landing page into long-term SEO assets, let me walk you through some very important facts about landing page from an SEO perspective. The page title is the description of your web page at the top of your browser. They tell you about what is your content to the search engine. While doing SEO you must keep title of page in mind as to how it should look. Try keeping your title as short and as meaningful as it could be. Try including high quality keywords in it .Instead of using your company’s name in every single page title use other important terms from the user’s point of view and use vertical pipes to separate concepts and phrases. When it comes to the on page SEO, URL of your landing page is the next most significant element. 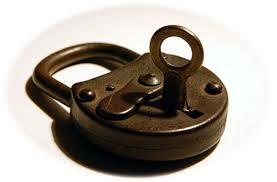 The URL of your landing page presets the search engine with some more information about the content of your page. 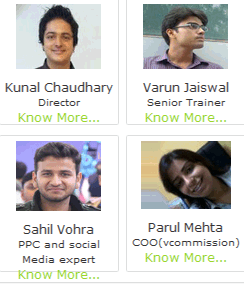 They also tell us about your site structure. Hence, while creating the URL of your landing page, keep certain things in mind, such as its length, language and keywords. Make sure the URL is not unnecessarily lengthy. 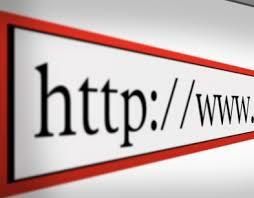 Try using words in the URL rather than putting in characters and numerals. Use slashes to separate the concepts and phrases. Put more important keywords closer to the left to make it more specific. Make sure the content and heading of the landing page is suitable and you have a single heading tag on your landing page. The heading tag on your landing page should describe about the offer and what is the page all about. 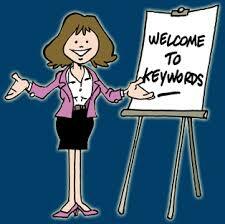 However, keep it short and simple and never try any keyword-stuffing ploys. The content on your landing page should be such that visitors can easily figure out what are you talking about before they lose interest and go back to search other results. Although audience don’t get to see the words that are provided for the image describing the visual content that you have however they might put in your keywords while searching for a product that you have. This is how search engine functions in case of the images. Hence while you do coding for the image make sure that the file name is short and includes words separated by dashes. Alt tags are displayed by the screen readers when image fails to load. The alt tags are a kind of keywords that describes about the image and gives result when you are searching for an image through words. Your landing page is one of the most important tools that you have to conduct an unbeaten business however it depends how well you optimize it to get the best out of it. You have the idea, you know how to implement it but it is also you at the end who need to implement it. So go ahead as it is never too late to start something productive.